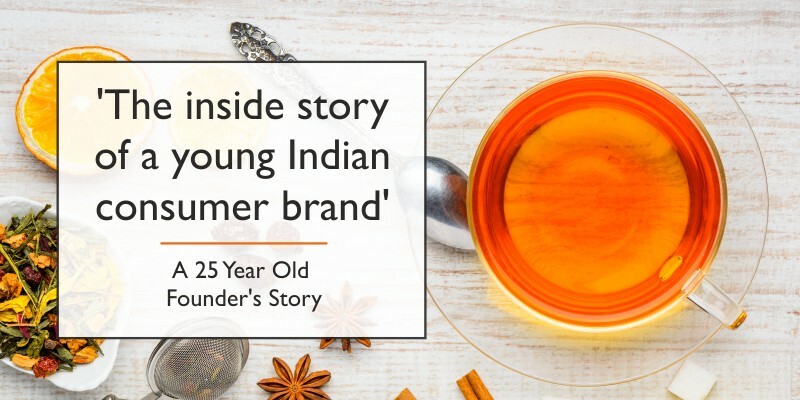 A look at how an Indian tea brand is trying to find a firm footing among connoisseurs worldwide with the right blend of technology & an emphasis on quality. I wish to introduce myself as the Founder of Vahdam Teas. 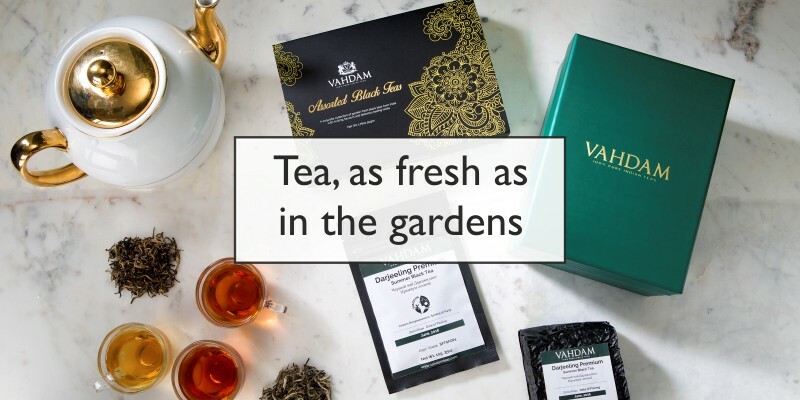 Vahdam Teas is a direct-to-consumer online tea brand, door-delivering premium garden fresh teas all over the world. By cutting out all middlemen & leveraging technology, we strive to make a fresher, higher quality product available in the shortest time. And, this is OUR STORY. I come with a lineage of over 80 years in the tea business and I am the fourth generation of my family to run a tea export business. Infact, my earliest holiday memories are of visiting mystical tea plantations across India. However, things were not meant to be as they are now. I always had the entrepreneurial bug and I knew, even in the early days, that I wanted to create value and do something of my own. And yes, I tried. I started 2 student companies, while I was still at college. So yes, this is practically my third company. (third time’s the charm they say ;)). On a serious note, I understand that they were just student startups and as soon as I graduated, about 5 years back, I started looking for my “big” idea. Something where I could truly add value, and create something real. And I was sure of working towards creating a more conventional technology-based startup. While I was brainstorming ideas, incidentally, I ended up going to my family’s holiday home in Darjeeling — the land where the world’s finest teas grow. The hill region sits facing the mighty Himalayan peaks in the north-eastern part of India. And call it destiny, I ended up staying there for 2 months at a stretch. While I was there, I visited tea estates and got a chance to interact with various stakeholders in the industry, including veterans, tea growers and even the customers. It was then that the thought struck me. Tea is the most consumed beverage in the world, after water. India is among the largest producer and exporter of tea. Most importantly, tea is the second largest employer of organized labour in India. I instantly knew that there was something amiss and saw an opportunity to add value. And I became sure that I wanted to do something here. To gain a better understanding of the tea industry & it's supply chain, I decided to join my family business for a a couple of years. It is when I joined my family bulk-tea-export business, I got a chance to understand the major gaps in the supply chain at source & the dependence of the industry on foreign brands. Also, I had the opportunity to travel across the globe to interact with consumers in the largest tea-drinking nations, right from the United States to Russia. 1) 'UN-FRESH', POOR QUALITY TEA—Most of the tea being sold across the world is passing through multiple middlemen. They reach consumers at an average of 12 months after harvest in the plantations. By then, the PRIME freshness and flavour of the tea is lost. And yes, unlike a fine wine or whiskey, tea loses all its flavour and character over time. So, consumers had been tasting a poor quality product. Additionally, India has the best growers. However, there was nobody to take care of the tea after it was harvested in the plantations. 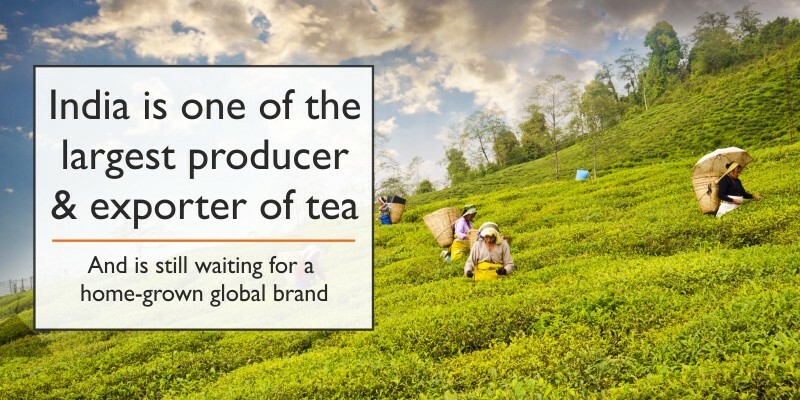 2) UNSUSTAINABLE INDUSTRY—Although famous tea brands across the world are growing every year, the millions of tea growers back here in India are plagued with issues like low wages and an uncertain future. Yes, even though India grows some of the finest teas in the world (30% of the world’s production), the absence of a home-grown brand has made the Indian tea industry dependent on bulk tea exports by international brands who do not hesitate to move to poor quality teas from other tea-growing regions in order to compete on price points & earn higher margins. Also, most of our teas were exported out in single digit margins with zero value addition, to be then re-branded and sold at much higher margins. And it is then I decided to launch Vahdam Teas, a home-grown direct-to-consumer e-commerce tea brand, to initiate a journey to solve these problems, in early 2015. How are Vahdam Teas different? Unlike your everyday cuppa, Vahdam Teas do not travel in containers for months before being packaged and sold. All our teas are procured directly from plantations & tea growers within 24–72 hours of harvest. They are then packaged fresh and door delivered, directly from source in India, in less than a week to most countries. By eliminating the middlemen, we are not only able to make fresh, high quality teas available to the international market but are also able to retain all earnings in the region where these divine teas are grown & nurtured by millions of growers with immense love, care and passion. A process which ultimately helps every farmer get a better price for their produce. Additionally, instead of a date of packaging, all Vahdam Teas come with a ‘Date of Picking/Harvest’ which is the true indicator of a tea’s freshness. Fortunately, consumers started tasting the difference, INSTANTLY. 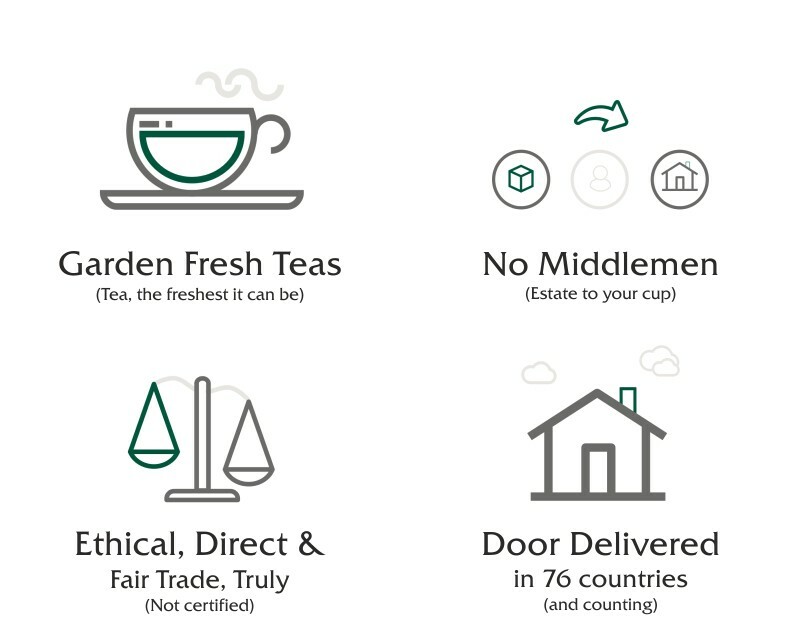 In the past 12 months, we have shipped our teas to consumers in over 76 countries. And quite recently, we also raised our first round of funding from some of India’s most eminent angel investors who share the same passion. Of course, our long journey of re-introducing real tea, i.e. FRESH TEA, has only just begun. I would like to thank each and every one of our customers for joining our family & supporting a truly ethical, fair-trade tea. For everybody else, I am excited for you to try the VAHDAM difference. We wish to infuse an excellent product, technology & convenience to present tea, like never before. As FRESH as it is in the gardens. We are a young company with a passionate team which is working REALLY hard to get better every day & we would need a lot of support from our customers going forward. If you have any feedback to offer & if we falter somewhere, please don’t hesitate to mail me directly at bala@vahdamteas.com.